Passing the typical market of Coyoacán, on Calle de Higuera, is Café Avellaneda, a cozy cafeteria and toaster with blue walls that has been in the neighborhood for six years. Juan Carlos de la Torre set out to tour farms around the country in search of the best producers. This is how they completed grain selections from Oaxaca, Nayarit and Guerrero, which change month by month. Here the locals come curious because they serve coffee in a vase with tiny cups of tea, to be tasting calmly, and a glass of water. If you are already a special one’s favorite, they sell ground coffee in bulk, with a careful roasting process by De la Torre himself. 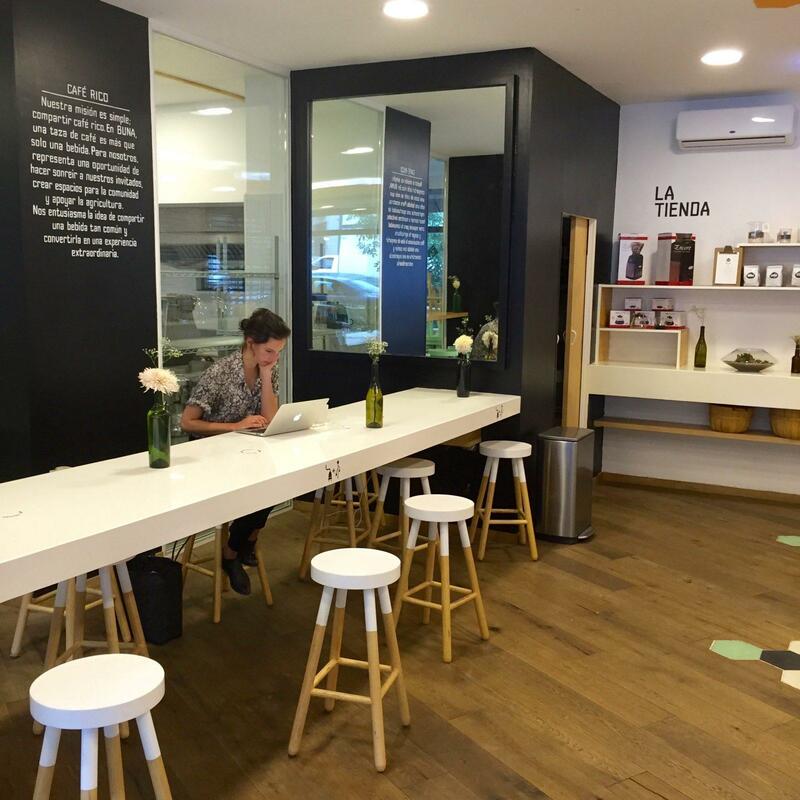 Bars like Amparo Café, in Del Valle, serve Avellaneda coffee. On a blackboard you will find descriptions of the cafes of the month. We recommend you to try an original one from Oaxaca, prepared in a V60 to highlight its floral notes. To accompany, you have to order the Red Velvet cookie, with cocoa and yogurt. You have to check your cold coffee cocktails, made with a “distillate” of concentrated coffee without alcohol – a cold brew. There is one that has coffee concentrate, ice cubes, tonic water and a lemon twist. Buna Rico Café company, with which a group of entrepreneurs (a biologist, a chef and an engineer) support producers in the country to develop sustainable products and teach them how to improve their practice and planting. Many coffee shops like Rompeolas (in Plaza Milán 44, in Juárez) sell their product. They have grains with more than 80 tasting points from Chiapas, Oaxaca and Veracruz. Here the American is prepared in a Kalita, a kind of V60 but smaller. You have to try your version of the coffee pot with piloncillo syrup and cinnamon, and cold coffees like Cafechata, a mixture of horchata water with cold brew coffee. The barista prepares it in a shaker! Alma Negra began as a casual project of friends who said to each other: “What if we open a cafeteria?” However, the idea was preserved for several months in the minds of its three creators: Matzuko, ‘Tato’ and Gabriel. It was not until they came across a small shop on Avenida Universidad that Matzuko took the initiative and decided that this was the place. So began the cult of coffee. What applies the phrase that says: “less is more”, because in just nine square meters this space keeps gems that all caffeine addicts will love and that will also serve as an initiation for those who are getting involved in the world of coffee. The grains they use are from Santo Domingo Cacalotepec, Oaxaca. 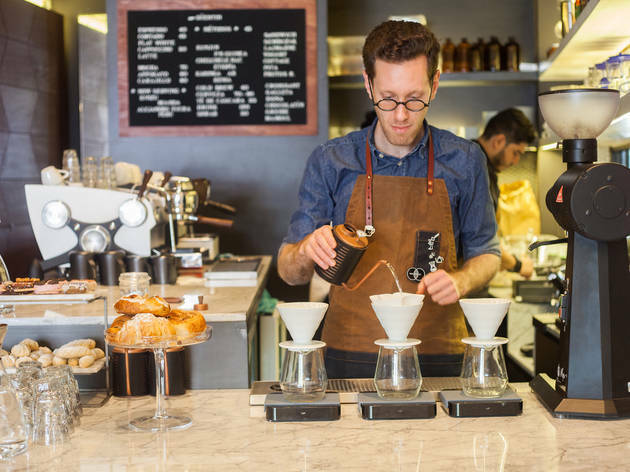 To familiarize yourself with your proposal of extraction methods such as the Japanese siphon, chemex, dripper or cold-drawn coffee, you have to order what they call “The Cult of Coffee” which includes three drinks: a method that you can order cold or hot; the gibraltar, similar to a cut espresso; and an espresso. About Álvaro Obregón is Quentin Café, founded by Mencham Gancz and Salo Askenazi. It is a place that has been living for two years, decorated with wood and marble. It offers coffee from various foreign origins, such as Africans from regions of Kenya and Ethiopia, who arrive with high roasting standards, as well as American grains from Guatemala and Colombia. The letter of coffee is changing week by week, looking for a curatorship of fresh products. Here we recommend you to order a coffee in Aeropress. And if you sit down at the bar, you can watch the baristas work and ask them all about the methods. They are passionate to talk about the grains of Ethiopia, which tend to be more subtle and fruity. The plus is the sweet artisan bakery they offer, from the famous Pancracia bakery in Rome. We could not forget about the Historic Center. Although there are so many traditional coffees in the first quadrant, it is worth walking to the neighborhood of San Juan, preferred by foodies for the gastronomic products that one finds. On the street of Luis Moya, among a series of hotels, is the Gradios Deli Café. Here Erika Chagoya, founder and Mexican barista who has represented the country in several competitions, recommends asking for a French press that highlights coffee honeys better and gives a feeling of earthy texture and robust body. Their coffee beans come from Veracruz and Chiapas, mainly. It is appreciated that each waiter has the patience to prepare coffee at the table and explain the process in detail. The best time to go is breakfast; It has fascinating specialties such as red chilaquiles or muffins. And if you have any luck, ask the barista if they have Ethiopian variety gesha coffee. The same and you run with the fortune of enjoying a spectacular cup of caffeine.